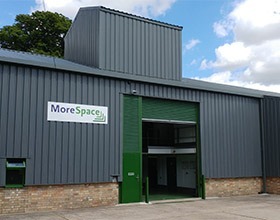 Flexible & convenient self storage solutions for household & business, near St Neots, Huntingdon, Godmanchester, St Ives, Cambourne, Sandy, Cambridge, Bedford & Peterborough. Choose as little or as much space as you really need, from small to extra large self storage units at guaranteed low prices. Be sure of a purpose built safe & secure facility with key benefits including PIN access code access, HD megapixel CCTV, with a goods lift & trolleys available. Rent easy to open, fast to access self storage space for any length of stay that’s highly rated, clean, dry, ventilated & condensation free. Whether it’s for personal, domestic, business or student self storage, we’re designed for all types of removal, furniture, document, eBay business, stock & archive box storage needs. We’re a family run business, set in the countryside location of Manor Farm, Graveley in Cambridgeshire and hold full membership of the Self Storage Association. Our self storage facility is found close to St Neots, Huntingdon, Godmanchester, St Ives, Cambourne, Sandy, Ramsey, Bedford, Cambridge & Peterborough & accessed from the A428, A1198, A1 & A14. We’re open for customer access everyday 7am – 9pm. If you’re interested to view our self storage facility, please contact us to arrange an appointment.